Another way of showing the invisible phenomenon of radio waves – a set of concentric circles. 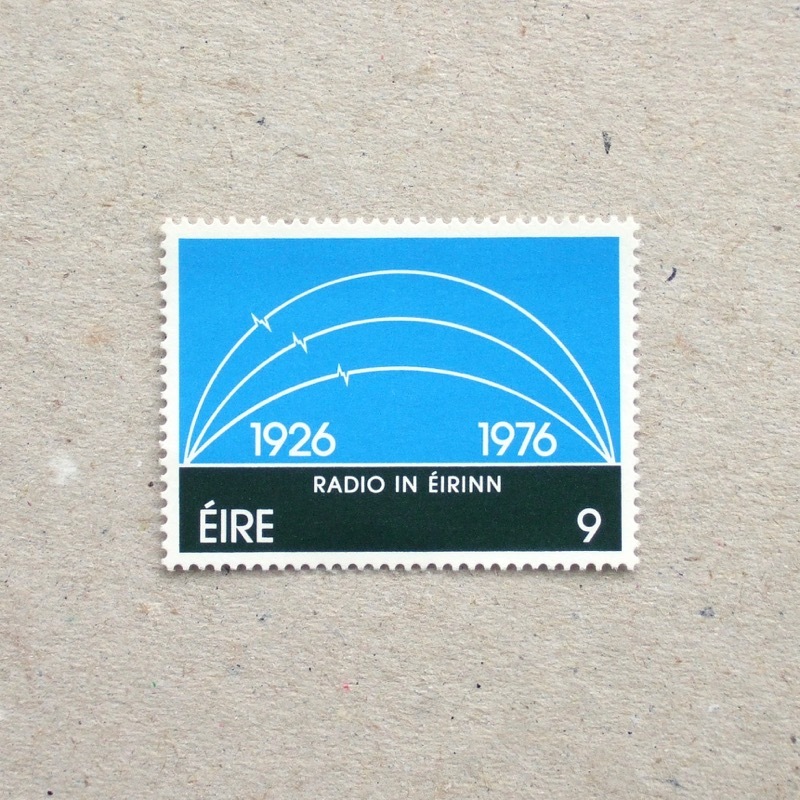 Often the waves are dispatched from a radio tower ( yes, in this case of an Italian, 1947 ) and in this Irish stamp, there is an earth in the centre to tell us that their broadcast is connected to the world. When you depict something which you normally don’t see, you have to analyse the phenomenon and embody it. In this case, arcs from one place to another show that some voice or information has gone through the air and is being received. This simple and clean design tells us that remote communications are flying in the blue sky over the green earth. A handshake – the most symbolic expression of friendship. 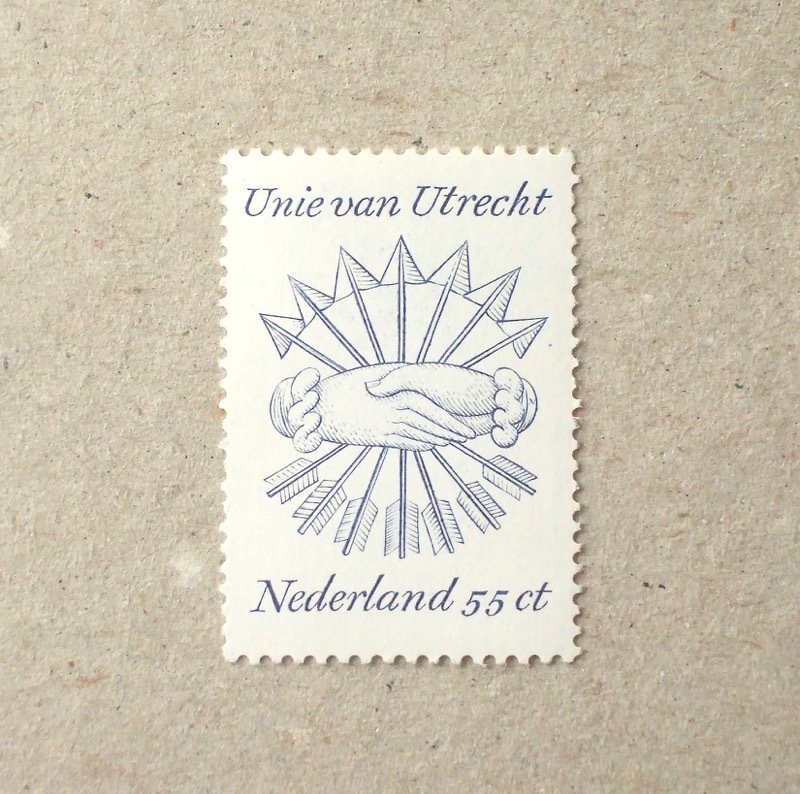 But here in this stamp, seven arrows are together – is it friendly or not..? I searched and read wikipedia – it was a union to fight a war against Spain together, 400 years before the year of issue. Although multi coloured stamps were the mainstream in the Netherlands in late 1970s, this is a simple and rare intaglio print, and I like it. Are you having a relaxed holiday? I wish you have a fresh and prosperous new year in 2015. 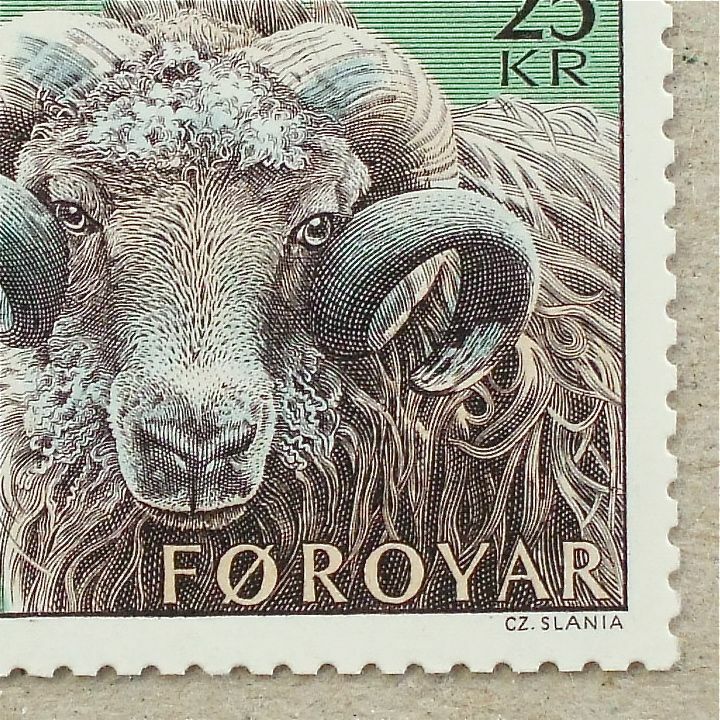 In the Eastern calender, 2015 is the year of the Sheep. In some country the sheep year starts from the lunar new year, but in Japan it starts today. 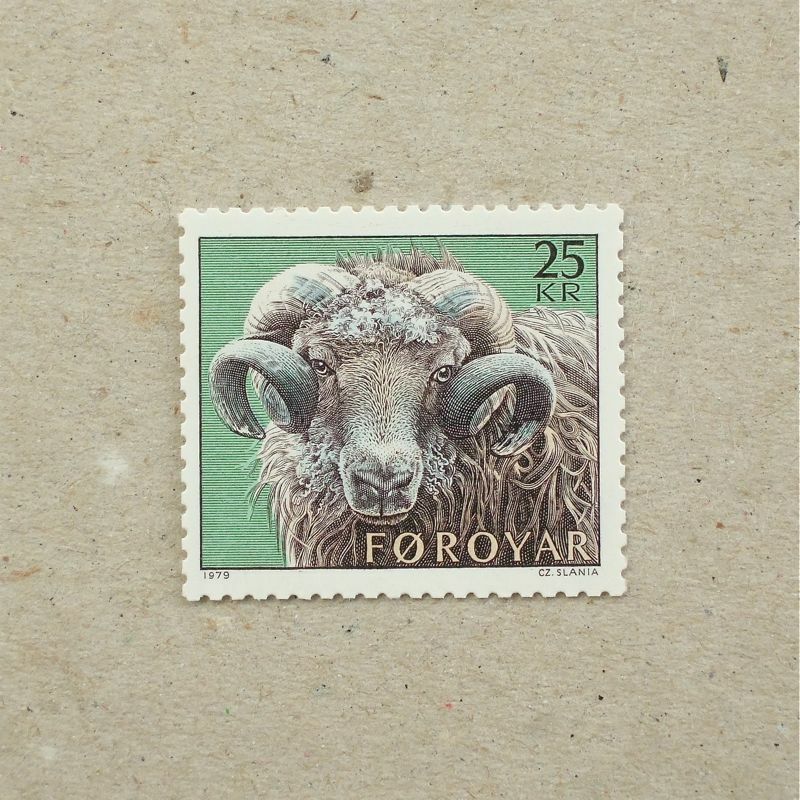 This stamp is a treasure – one of the great masterpieces by a master craftsman. Please do enjoy the magnified view below, different textures of fleece and transparency of the eyes. After all greetings ( received only ) and tidy up of the year, finally I am in a mood of holidays/resting. I have just got a new music book of baroque for Ukulele – now I am thinking of design for the new year’s greeting message. 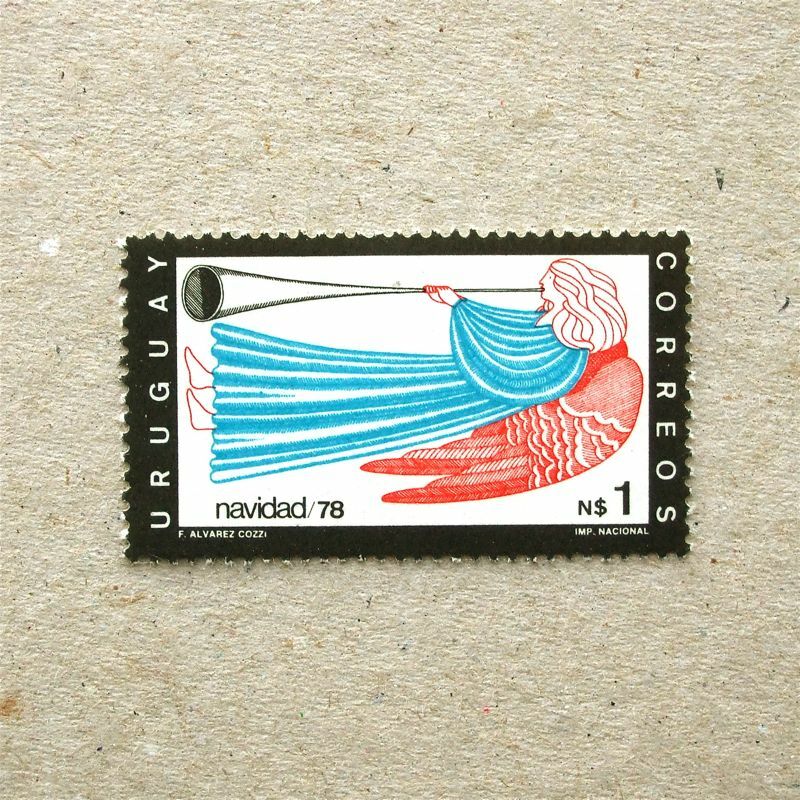 This Christmas stamp from Uruguay has refined style and peaceful atmosphere – but this stamp was released when the current president José Mujica, known for his criticism against rich politicians, was imprisoned by the Right wing police state. Jeans – I had a kind of complex about my legs and didn’t wear jeans until 10 years ago. But now, I realise jeans are for functionality not fashion, then I enjoy their adjustability on many occasions – I love them. These stamps are from the ‘Export from Mexico’ issue – the simplicity of design suits to the subject very well. After red wine, my appetite goes to beef – but I think my consumption of beef in recent years has been reduced. This is because of my age, amount of exercises goes down and a little concern to the environmental issue, I guess. 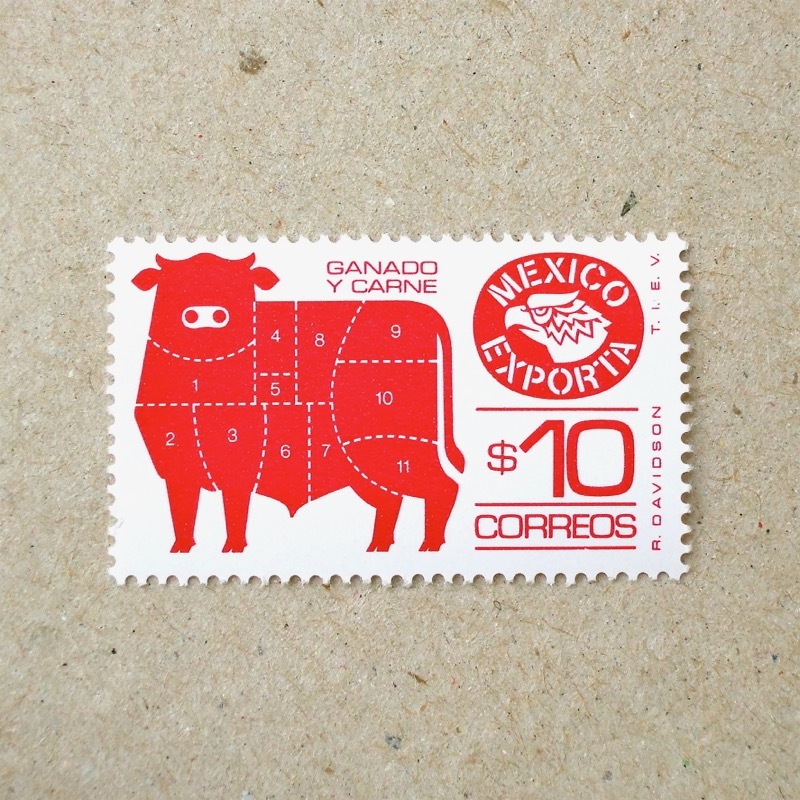 In 1975, beef was one of the main export from Mexico and this is one of my favourite example of definitive stamps in the same format. The following one of shoes – the byproducts of beef, I guess, is modest yet cool. I met a numbers of young designers from Mexico through the Vitra Design Museum Workshops at Boisbuche and they are almost all female, somehow. All of them are hard-working ladies with bright smile and they form my impression of the country. Anyway, have a happy Valentine! Until the steam engine was invented in 18th century, horses had pulled a lots of good, supplies and people from one place to another – for very long time in the history. I imagine that in the ancient world people had celebrated ‘longing daytime’ when they realise that – three or four days after the Winter Solstice. Then the Christmas had taken over this festive season – this is my inference. This Bulgarian stamps are in fact for the new year celebration – yet they look very Christmas for me. 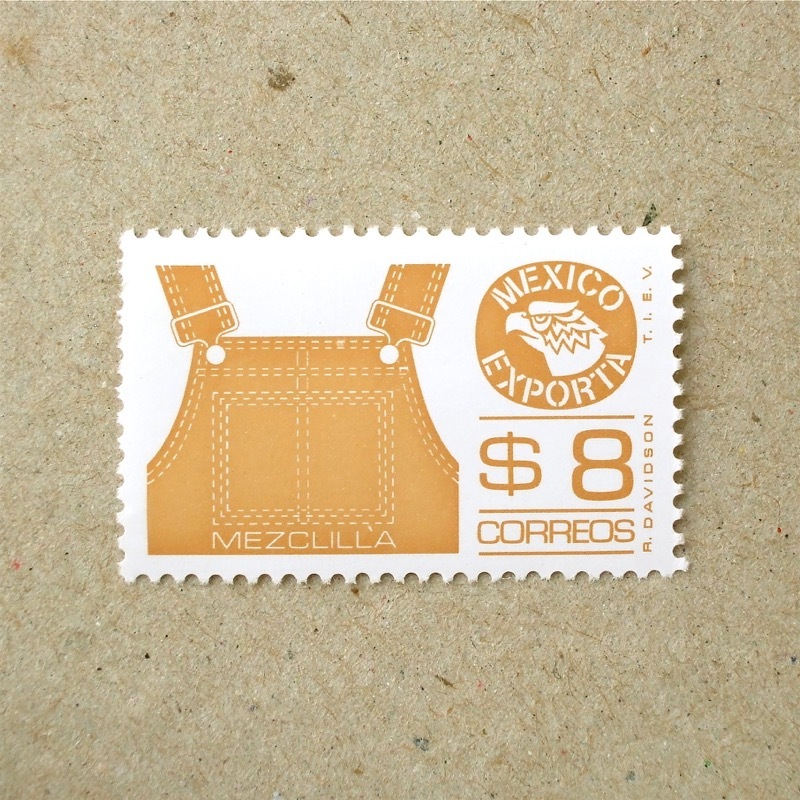 It is obvious that self-adhesive stamp can made in flexible shapes. 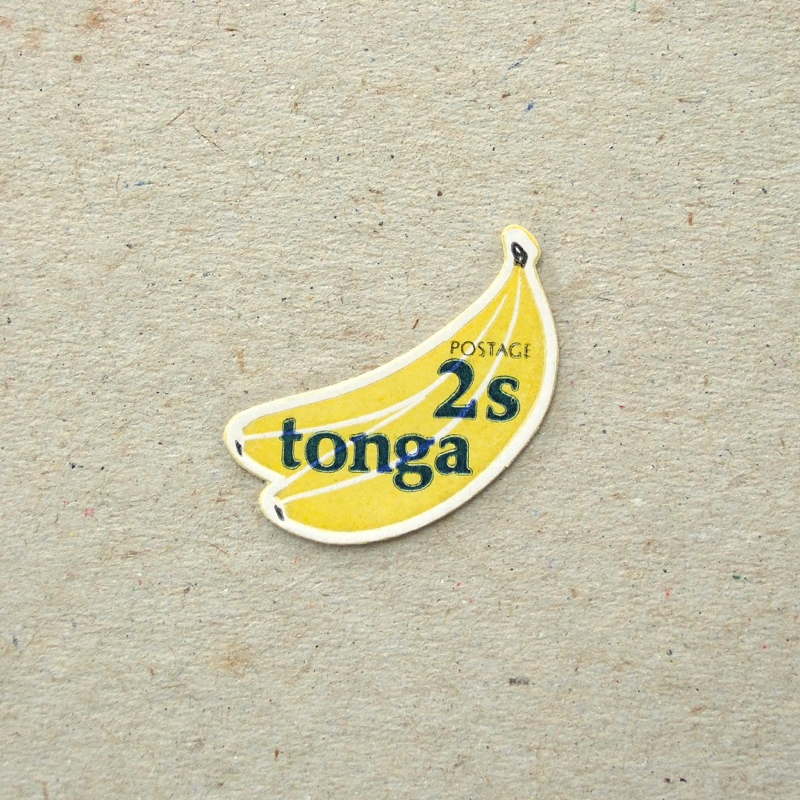 This banana stamp is from Tonga, where the world first self-adhesive stamp was issued from. 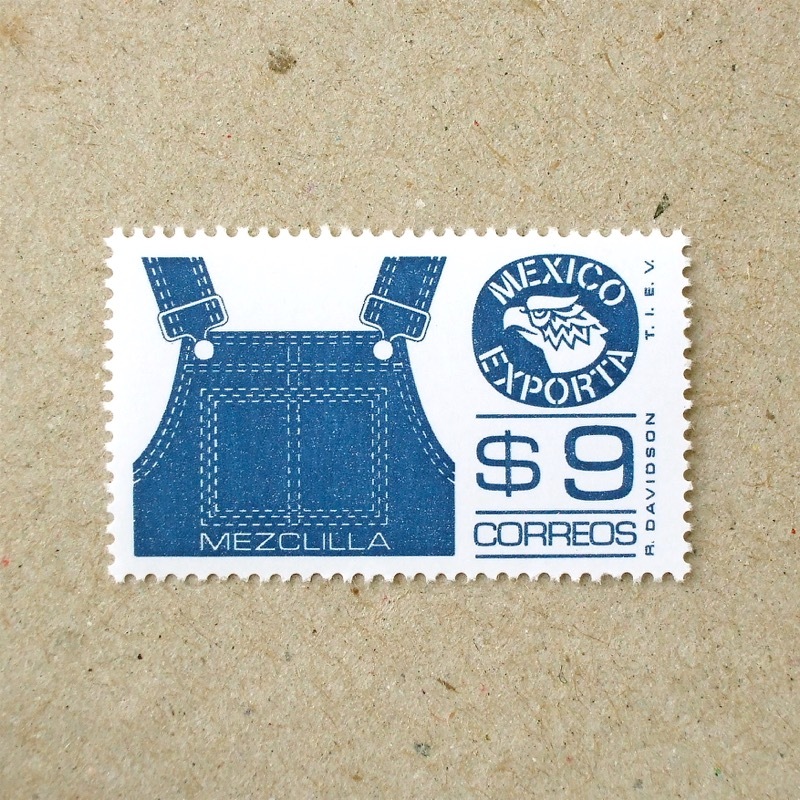 This one is clearly inspired by the commercial stickers which are used for showing the origin of fruits – this is why it is very small, end to end is about 2.5 cm. I would be very pleased to receive a letter with this stamp from Tonga. They are now exporting a lot of pumpkins to Japan. As you can see on the cover of a book of ‘Royal Mail Stamps’ (1980), the designer made many sketches for this set of stamps. He took a long time to decide the composition of the stamps, and also re-drew the chosen ones for adopting the new printing method of intaglio lines on top of gravure. As a result of effort and fine adjustment, this set has outstanding beauty. During the Olympic games, I enjoyed the view from those sailing boats – images sent from a little waterproof camera on each boat, showing how dynamic and subtle it is to control sails in the competition. 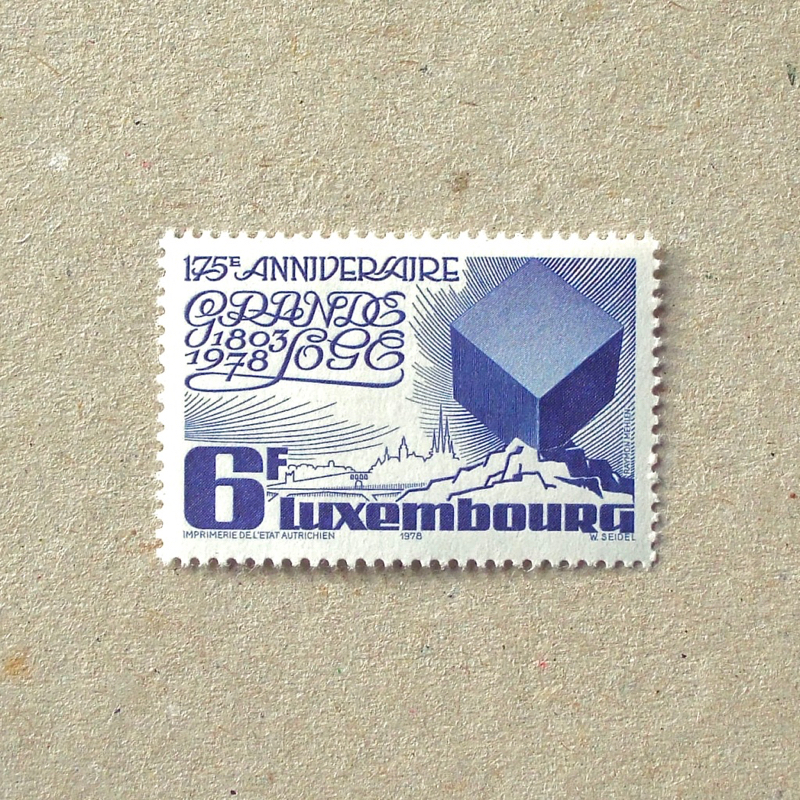 But 38 years ago, the stamp designer had to draw them from the land or a harbour, as no equipment was suitable for being soaked by the waves. When I bought my first telephone for my flat in Tokyo in 1989, the shape of telephones had changed since the 1960s. The rectangular body with slim hand set on one side, with ten keys – it had message function already, but the length of message was limited by the small cassette tape… 23 years ago! This simple stamp from Japan is telling that telephone connection was automated already in 1979 – ten years earlier than my ten-key telephone era. This telephone was already retro when the stamp was issued – the central image is an Ericsson DBH 1001 model, designed in 1929 by Norwegian designer Jean Heiberg. I was reading about the development of the telephone, then found this picture in the article! 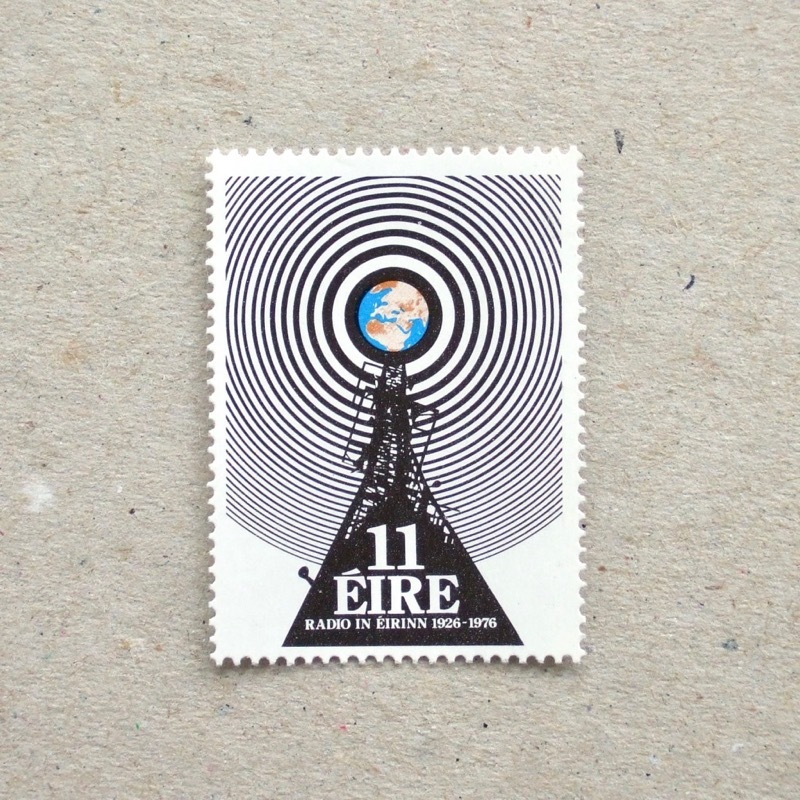 A line drawing of an earlier telephone receiver is on top and an electric circuit is framing this stamp – technical but somehow enchanting – a celebration of the great invention, which has turned into the now indispensable article. In 1976, people celebrated the invention of the telephone, which dates from 100 years earlier. I did not know that the first telephone conversation was made that early. I am interested in listening to the voice coming through the ‘liquid transmitter’, though. It seems there were two more people who claimed to be the inventor of the telephone – Elisha Gray ( who invented a Facsimile machine later ) and Antonio Meucci ( who is currently regarded as the first inventor of the telephone ). 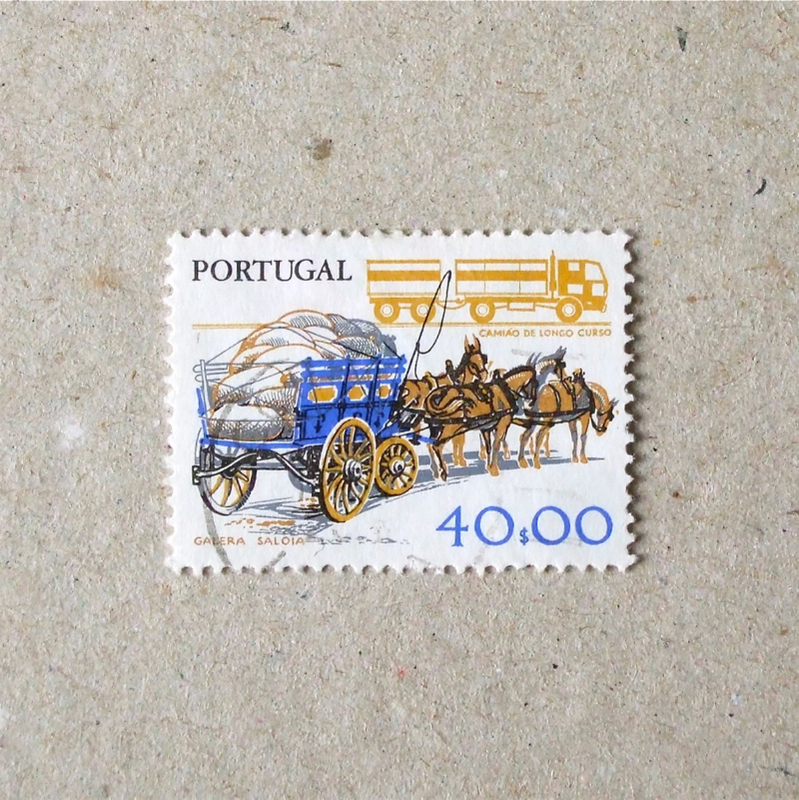 This set of stamps are showing smiley people who are blessed by telephone – their handsets were still connected to the main machine by a wire – so you did not have to listen to the one way conversations in a train. A bird carrying an envelope – and two stamps together promoting postal codes. It seems that machine sorting was introduced in many countries during the 1970s. I found another stamp with birds, carrying messages. The rectangular shape in the middle is a post box – I noticed that Red post boxes are not universal. This map shows the different colours of post boxes around the world – but for me, having lived in Japan and now living in the UK, post boxes have always been red! The design of this stamp looks nicely dated and the shape of this post box is evocative of that time, in a similar way that I remember ‘Mr. 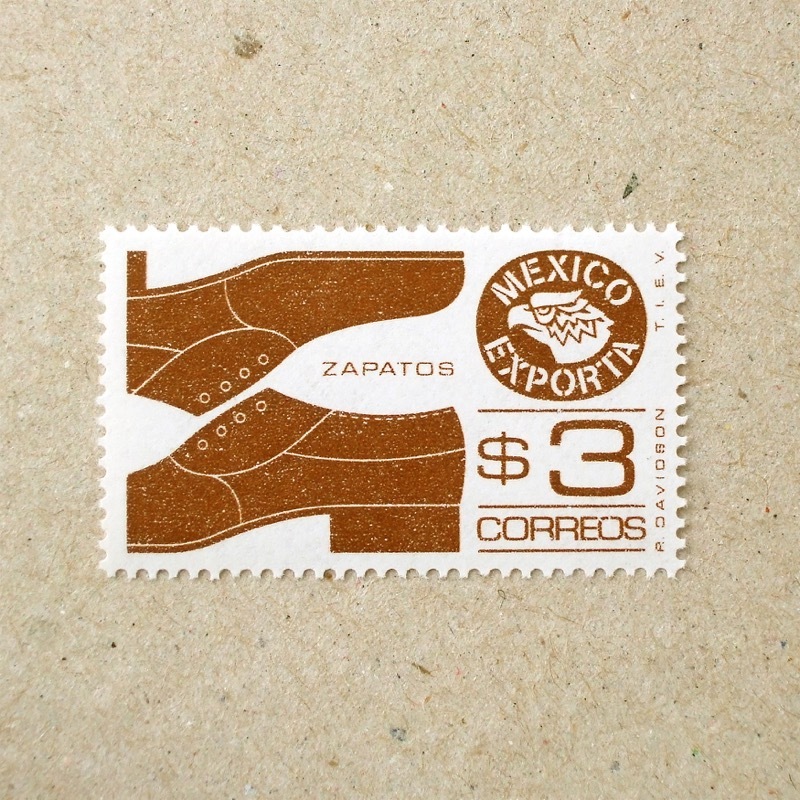 Number’ of these stamps at the edge of my memory.